A primary goal for clinicians is to try to get patients on optimal doses of guideline-directed medical therapy. However, there are often multiple barriers which interfere with this process. Completing prior authorization forms and navigating the various medication assistance programs are two frequent challenges that clinicians and their office staff face when working to ensure patients can access and afford prescribed medications. 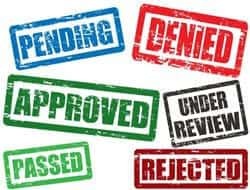 When new medications are available and require a prior authorization (PA), there is often a learning curve to understand what documentation will meet the requirements. The PA forms required by each insurance company vary slightly and are often complex, requiring a dedicated person or small group of educated clinicians in the office to review and gather data from patient medical records, complete the required forms and submit them accurately and timely to avoid rejection. If resources and funds are not available to support PA completion, this often leads to patients not getting prescribed guideline indicated medications and can place strain on the clinician-patient relationship. In early 2017, members of a variety of organizations convened to discuss the barriers to obtaining PCSK9s for patients due to the PA process. They made recommendations for streamlining the PA process, such as single PA forms for all insurance companies and companies having case managers to speak directly with clinicians and office staff. This team ultimately developed two templates for use by clinicians: a PA form with the necessary documentation to obtain approval and an appeal cover letter. Both forms can be modified as needed and used to increase the likelihood of approval from insurance companies. These resources were published in the March 2017 issue of the open access Clinical Cardiology. If such recommendations could be implemented and more people worked together to share best practices in obtaining PA, the process could be less daunting, and more patients could get the medications they need for improved management of their medical conditions. Many of the newer to market medications are expensive. Uninsured or underinsured patients may not have coverage for important, evidence-based, yet costly medications. Even if a medication is approved and covered by a patient’s insurance, the co-pay can exceed what the patient can afford, especially since cardiac patients are usually on multiple medications, each with their own co-pay. A variety of assistance programs are available to help patients with co-pays or the entire cost of the medication, including: Patient Access Network (PAN) foundation to help underinsured people with a variety of diseases; medication specific patient assistance programs through the pharmaceutical companies, or organizations such as the Patient Advocate Foundation which provide tips and other websites that can help patients grant access. Helping patients gain access to the right medications consumes considerable professional staff time and knowledge, adding significant cost to clinics and health systems without financial reimbursement. Nevertheless, allocating qualified staff and resources to obtaining PAs and identifying patient assistance programs will likely result in improved adherence to life-saving, evidence-based medications and improved health outcomes. Cardiovascular nurses are perfectly situated to help patients access needed medications while making the process less burdensome for the health care system; because in the end, most nurses would rather spend their time with their patient instead of on the computer, completing burdensome paperwork.